Heat the eggnog in a small saucepan until it barely comes to a simmer. Add the brandy and rum and pour into a mug. Top with the whipped cream and sprinkle with nutmeg. 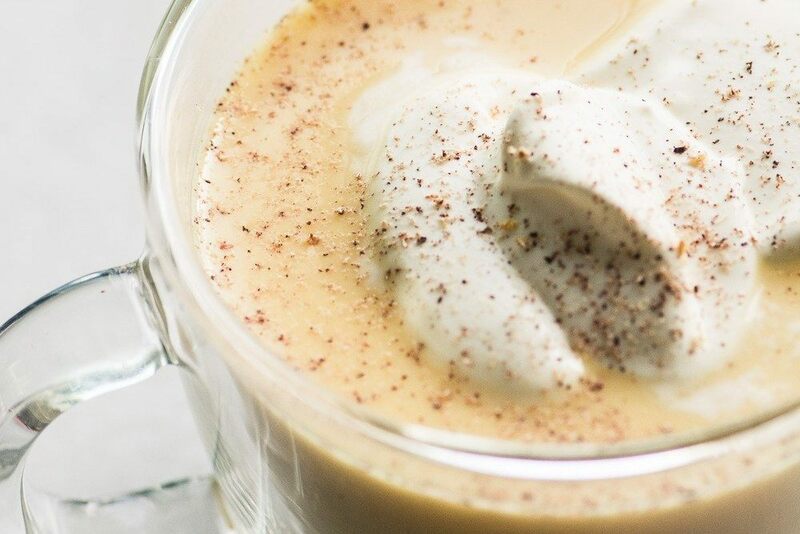 To make your own eggnog, first whisk together the egg yolks with the sugar until well combined.